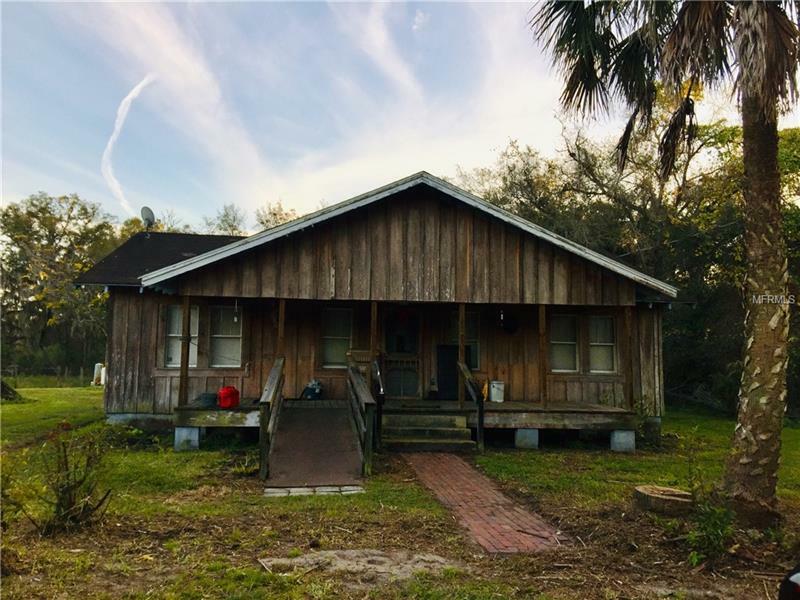 Charming Florida Cracker house with 38 acres on a quiet two lane road!! This 1956 house is just waiting on the perfect fixer upper to restore it's old southern charm! The house sits on 38 acres, a dense wooded buffer is on 3 sides, which has been used for cattle, horses, and farming. There is a separate 4" well for irrigation purposes. A pole barn offers additional storage for equipment. HOME IS SOLD AS IS. If you are looking for a peaceful, quiet homeplace this is certainly it! Take a look!